Carved Old Red Mountain Jade Barrel Beads - Heavy! Sorry, we are currently sold out of '10 Striking Snow White Coral Barrel Beads'. Please check back later. Brushed Red Coral Barrel Beads - unusual! Sorry, we are currently sold out of 'Large Stubby Amber Barrel Beads'. Please check back later. Monstrous Blue Turquoise Spiderweb Barrel Beads - Heavy! Large Blue Antique Barrel Acrylic Beads - Unusual! Large Red Antique Barrel Acrylic Beads - Unusual! Sorry, we are currently sold out of 'Breathtaking Faceted Opalite Moonstone Barrel Beads'. Please check back later. Jumbo Sardonyx Agate Barrel Beads - Heavy! Sorry, we are currently sold out of '10 Gleaming Watermelon Jade Barrel Beads'. Please check back later. Sorry, we are currently sold out of 'Beautiful Blue Turquoise Barrel Bead Strand'. Please check back later. 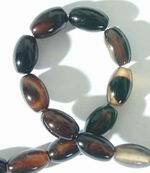 Sorry, we are currently sold out of '52 Tortoise Shell Barrel Amber Beads - 8mm x 6mm'. Please check back later. Large Porcelain Barrel Dragon Bead - Unusual! Sorry, we are currently sold out of '2 Deep-Red Cinnabar Coged Barrel Beads'. Please check back later. Sorry, we are currently sold out of '28 Striking Volcanic-Red Amber Barrel Beads - 14mm x 10mm'. Please check back later. Chunky 14mm 'Flower' Carnelian Barrel Beads - Very Heavy!